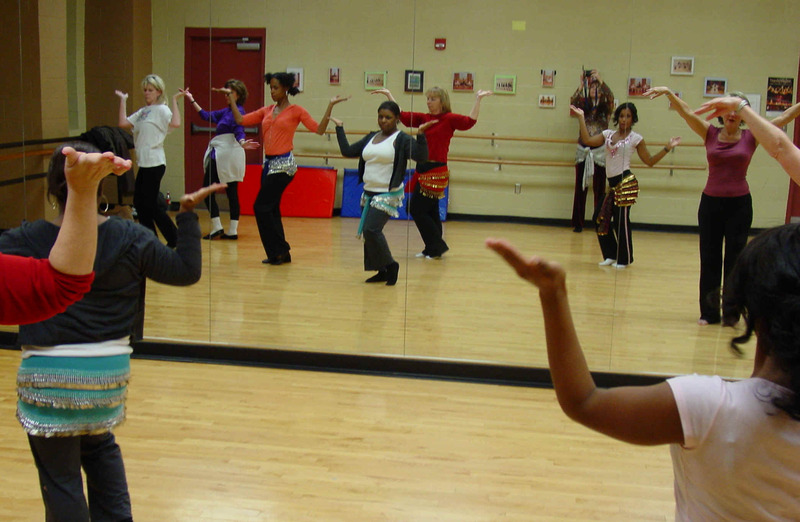 :Bellydance recommended by Dr. Oz for a great workout : "I truly enjoyed myself in the beginner's class.I will be back for the rest of the 6-week session.Thank you for the experience. Dionne"
Midtown Overton Square Theatre Works 2085 Monroe ave.
Beginner Technique & Choreography Class: Learn a beginner dance routine and burn an average 400 calories per hour! Classes are 1-hour, once per week and includes yoga stretches, warm-ups, and basic techniques. You must start within the first two nights of a 6-week session. Cost for a 6-week session is $54. You can try out one class for $15.00. Class dates and locations are below :We also have Costumes ,coin belts ,finger cymbals ,dvds, cds etc available for purchase. Class Selection: Don't see a class that fits your schedule? Set up your own group class (must have 6 or more students) or contact us to arrange private lessons.$40 per hour. Contact Sadiia to arrange appointment. Intermediate Class: Prerequisite is after completing 4-6 beginner sessions. Knowledge of basic steps, techniques, and combinations is required. At least 4 beginner technique/choreography classes are recommended. Intermediate performance /choreography class is at the east location tuesday from 6-7:30 p.m. Cost is $55.00 per month . or $15 per class. You need to ask to be on the list. Private Group Lessons: Email Sadiia (link below) to arrange appointments.